This week in the Junto Summer Book Club we’ll be looking at chapters 4 and 5, in which Brown looks first at the beginnings of Virginia’s slave system in the mid-seventeenth century, and then at the memorable—and highly teachable—events of Bacon’s Rebellion in the 1670s. In the first week, we discussed Brown’s ambition to “treat gender, slavery, and elite dominance as interrelated relationships of power whose histories intersect and mutually shape one another,” while in the second we focused on Brown’s concept of the “gender frontier” as a way of thinking about European colonists’ contact with Algonquians in early Virginia. 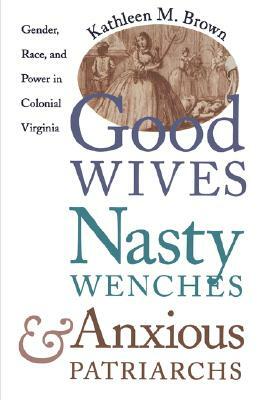 Now, as we reach the core of the book, and as the colony becomes less existentially fragile, our attention is drawn to the role of law in the construction of gender and race relations, and to conflict between models of masculinity at the very top of Virginia society. The main line of argument of the chapter itself is that the gradual introduction of the slave system into Virginia complicated and helped to define gender roles and class relations, as distinctions began to be made between white and black women, women who worked in the field and those who didn’t, and the kinds of families and marriages these different categories of women were allowed. Using the developing body of tax and slave law as her primary evidence-base, Brown seems to focus here on the way women’s lives were governed by the decisions of elite men, and the needs of the developing slave economy. “These early laws,” she concludes, “… created a legal discourse of slavery rooted in the sexual, social, and economic lives of African laborers and effectively naturalized the condition of slavery by connecting it to a concept of race.” Race didn’t cause slavery, or vice versa, but they were manipulated to support each other by those who would benefit. So does Brown add to the historiography of early Virginia simply by complicating previous narratives—by bringing gender issues into questions that have previously been framed around race and class, and bringing women into stories that have been too ready to ignore them? Or does she succeed in her goal of showing how gender was actually integral to the development of other categories and the social order? What does Brown’s chapter on Bacon’s Rebellion add to Morgan’s account, and would you assign the two alongside each other? And what effect does her use of different kinds of sources in each chapter have on the shape of her argument, and the book as a whole? Those are just a few of the questions my reading of these chapters brought up; but I look forward to seeing what you all think! First, a thanks to Tom for getting this conversation started and second, here are some of my thoughts/answers to the questions he raised. Overall, I believe Brown argues strongly that we do not need to just complicate previous narratives by the addition of gender, but that gender is essential to the development of other social categories and whether or not a society views itself as a place of order or instability. 1. Both chapters show an increase in the European’s in power belief in the need to solidify the boundaries and definitions of gender. To use Brown’s earlier language, these men believed their society had to make the boundaries of the gender frontier clearer. To them in their hierarchical society, power most often trickled down from the state and thus, there was no stronger way to define these boundaries than by proclaiming them as laws. Their reasoning, besides trying to mark the European colony as distinct from the nations of Amerindians around them, was that these boundaries would help establish the colony’s economic prosperity and social order that allows for that. 2. Just because the state passes the laws, however, did not mean that individuals would agree or abide by the boundaries set by the laws. It is because so many people did not abide by them that Brown has evidence of how people lived their gender, how they performed gender in a much more fluid way or with more possibilities that what the law demanded, and how these “transgressions” provided a reason for some people to believe in the need for stricter boundaries of gender. 3. Of course, the laws about gender are not just about the boundaries between what men and women should be. These laws were also about race and class, and this is where Brown interacts with Morgan. Although Morgan’s work is not fresh in my head, I do not think Brown is trying to argue with Morgan as much as point out an important aspect he did not emphasize (Brown confirms this point in note 112 on page 427). Brown argues that one cannot understand the growth of race-based slavery or the racial categories of black and white without gender. In these two chapters tracing of the emergence of a legal distinction between the two races, Brown demonstrates how race is built upon an understanding, which becomes a part of law, of gender. Each race, white and black, has a different gender order. This difference is an essential part of how whites establish themselves as different from blacks and, later on as the constructed nature of this difference is forgotten, it provides a fundamental part of white’s explanation of race as biological and blacks as inferior to whites because of their less “civilized” gender structure that has fewer distinctions between male and female (most obviously in the fact that women worked in the fields alongside men). 4. Four key points about Bacon’s Rebellion – 1. As mentioned, Brown is not arguing with Morgan. Instead, Brown, like Morgan, is arguing more against a historiography and prevailing idea that Bacon’s Rebellion was a trial run of the American Revolution, that one can trace many of the themes of the Revolution back to this moment. The Rebellion, however, was not a trial for the Revolution that pitted colonists against the monarch because they felt their political rights were being infringed upon nor was it a mass democratic uprising that had as its goal a new, democratic system of government. Instead, it retained the elites in power, but it redistributed this power to more elite men and gave new and stronger reasons for why the elite should retain that power (social stability and fear of rebellion from the lower and racialized classes). 2. Brown, in the vein of women’s history, places women into the story of the Rebellion as important actors and also demonstrates how a rise in cases against women before the Rebellion shows a perceived increase of social disorder in the colony. This believed increase in social disorder, as well as women’s involvement in the Rebellion, helps explain Berkeley’s harsh penalties and words against women after the Rebellion. 3. Brown demonstrates how the Rebellion is a key moment in the solidifying of a definition of American manliness that is different from British manliness (especially in its realities of gun and land ownership). White men shared certain rights that brought them together into an imaginary community not just because of their race, but because of the fact that they were men. 4. In order to define this manliness, keep Europeans in power, and tie colonists to Europe and an idea of civilization, many of these traits had to be legally denied to Africans (and women and servants). Bacon’s Rebellion, due to the great social unrest, instability, and violence it caused allowed for a stronger legal definition and enforcement of the boundaries of racial, class, and gender categories. The Rebellion symbolized what could happen if the boundaries of these categories went unchecked; the instability of the categories needed to be made stable and the Rebellion helped provide the reasoning for the need to stabilize the categories and who would benefit from and be able to define those categories.